OnBoardWA connects you to opportunities on government boards and committees, which play a vital role in good governance. This is your chance to provide independent and expert advice and a voice for your community. To register your interest, please click on the "Apply for Job" button below. You will then be prompted through the processes to provide your details. For further information relating to the OnBoardWA Register, please email boards@dpc.wa.gov.au or telephone (08) 6552 5666. If you know someone that would be a good candidate for a WA Government board or committee, you can use the "Email a Friend" button.  All content © Government of Western Australia. All rights reserved.